Stuff It Stocking Knit Along! Let's knit together! I'm happy to announce our first Ewe Ewe KAL. The holiday season is coming faster than we know it so let's make a Christmas stocking just in time for Santa to stuff it full of goodies. Introducing the Stuff It Stocking KAL! The Stuff It Stocking will begin on Tuesday, December, 3, 2013 and run for two and a half weeks. 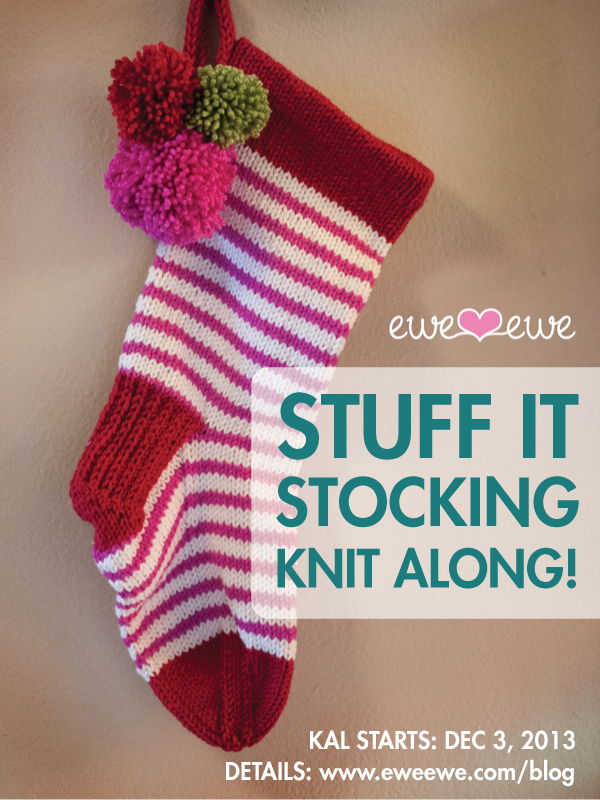 You can make the Stuff It Stocking even if you've never knit a sock before! This top-down sock knitting pattern has a few extra techniques, too. If you're a more experienced knitter maybe you'll learn something new or maybe you just want to knit along. Great! Tuesday 12/3: Casting on, knitting in the round, working the hem at the top. Thursday 12/5: Knitting the body of the sock and carrying colors while striping. Tuesday 12/10: Making the heel flap, turning the heel, knitting the instep. Thursday 12/12: Decreasing for the toe and Kitchener Stitch. Tuesday 12/17: Hang loop i-cord, finishing and blocking. Santa's coming! 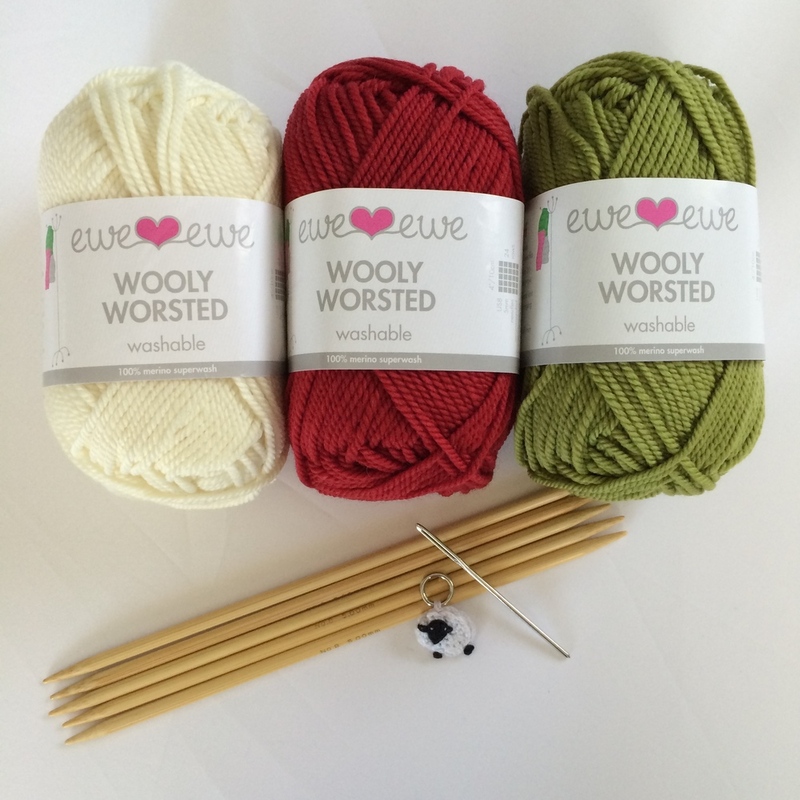 To purchase your supplies you can find a Ewe Ewe yarn store on our Retail Shops page here. We'll be doing all the posts here on our blog. Add a bookmark! Join our KAL group on Ravelry. Be sure to follow eweeweyarns on Instagram, Twitter and Facebook. Use the hashtag #stuffitkal.